$70 for both CPR and First Aid classes! Go home with certifications that are valid for 2 years. The importance of knowing and being able to perform CPR cannot be understated, which is why Always Prepared CPR & First Aid is proud to be Fairfield’s locally-owned and operated CPR instructional class provider. We’re here to educate you on proper CPR technique, as well as other critical first aid procedures. When someone isn’t breathing, is hurt or has lost consciousness in your presence, do you know what to do to make sure they’re going to be okay? CPR and other basic life support training in Fairfield, CA are critical skills that everyone should know and we’re here to make sure that you’re being taught them correctly and thoroughly. We’re proud to offer a variety of classes dealing with a gamut of first aid topics, including but not limited to bandaging and splinting, controlling bleeding, bites and stings (allergic reactions), burns, handling shock, seizure, heat and cold emergencies, low blood sugar and basic life support (BLS), as well as adult, child and infant CPR. 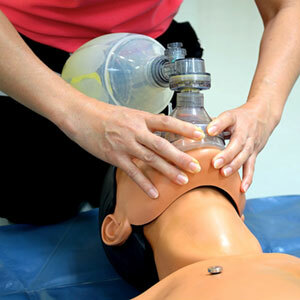 All of our training and courses involve hands-on practice. We are certified through the Life Support Network. Our instructor has 25 years of EMT and paramedic experience. We’re proud to teach residents of Fairfield, Vallejo, Woodland and Dickson, CA. We are in great standing with the Better Business Bureau. Basic Life Support Training, First Aid Training, Emergency Response Training, CPR Training, Emergency Response Teachers, CPR Instructors, First Aid Instructors, Injury Response Instructors, Basic Revival Training, Health Care Training and much more! "I was looking for a great First Aid kit for my camper and vehicles and finally found the right one.This kit has everything needed for quick ..."
"I thought it would be average quality, but I was really glad that I bought this one, superior quality. This is one product i hope I never u..."
"I buy 2 firstaid kids and 2 emergency kids and it has everything I needed for an emergency .I manager 10 commerical vehicles and I thed deci..."